In spite of all the economic uncertainty and political mediocrity, there is much to celebrate culturally. This week in London has been very stimulating. On Wednesday evening went to the French Institute in South Kensington for the launch of The Invention of Paris, by Eric Hazan. The London author, Iain Sinclair, an old friend of Saskia’s was there in conversation with Eric Hazan. The library was packed with interested and interesting people and the atmosphere refreshingly non-corporate and creatively critical; vive l’entente culturelle! Then on Thursday evening I cycled on my two-wheeled hack to the Tricycle Theatre in Kilburn to see my friend Sean Campion play in “The Dead School” I’m not the best audience for theatre, but this was brilliant; fast-moving, funny, sad and sensitive about values and the pace of change in Ireland. Relevant to everyone. 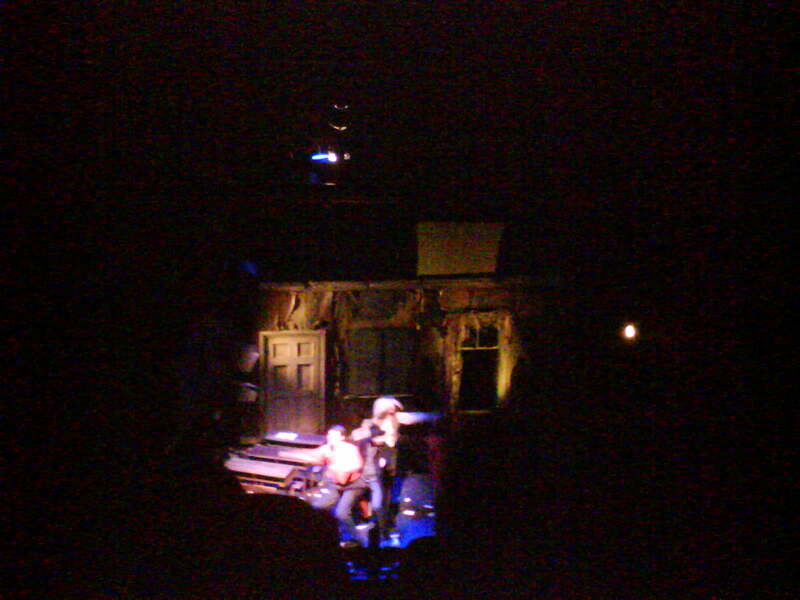 The staging was very inventive and good performances from all the cast. And what’s more they have a great bar and kitchen with charming staff. A home-cooked quarter pounder and chips for an amazing £3.90! 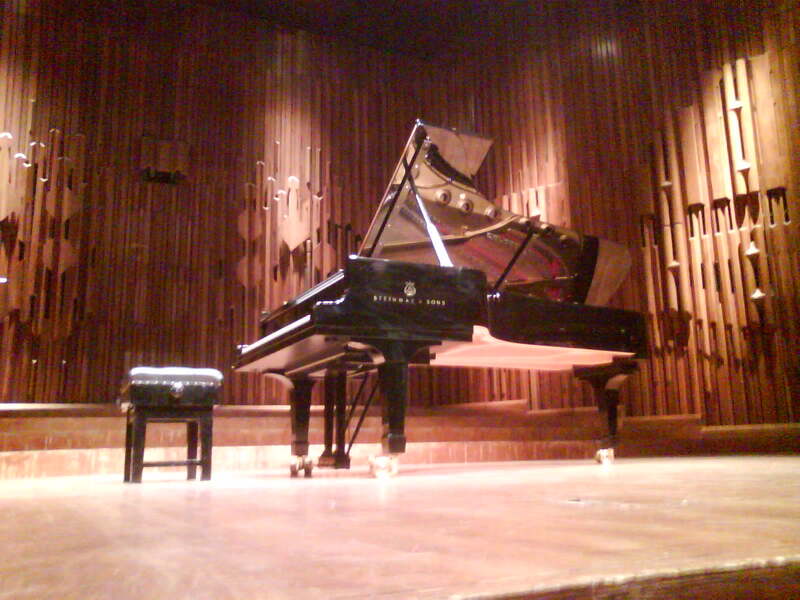 Last night was Friday, and thanks to Facebook I got a £5 front row seat to hear Emanuel Ax at the Barbican play Chopin, Schumann and a UK première of Thomas Adès’s Three Mazurkas, Op. 27. I could hardly believe my luck as I took my seat about 10 feet away from the Steinway and was able to see Ax’s hands at close quarters. And there was a free programme! I had never heard Emanuel Ax play before, but what a sensitive performance. He had the score for the Adès piece, but played all the rest from memory. It never fails to amaze me how pianists can remember so much music. I wish I had an apartment in the Barbican; imagine living above the culture beehive. You could pop downstairs to a concert or a film in two ticks. Pure honey. And it would be particularly convenient this weekend as I’ll be back there this afternoon for a film about the Thames Liquid History, A Journey along the Thames and London’s Waterways. Tomorrow, it’s the Barbican again for Tim Burton’s Alice in Wonderland with Johnny Depp and Helena Bonham-Carter. It’s looking good! And going from Handel’s favourite place of worship to mine that evening, I shall carry on with more of his music in Covent Garden for Tamerlano.